We are always focused on providing superior customer care. As your propane gas provider, we work to meet and exceed our customers’ expectations. 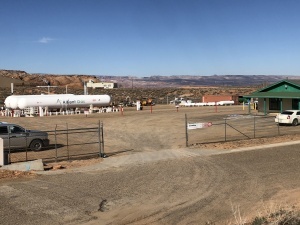 Alliant Gas Arizona, headquartered in Payson Arizona offers underground utility and tank propane deliveries in the Page and Payson areas. The underground pipeline utility is a low pressure propane distribution system that provides propane to residential and commercial customers. 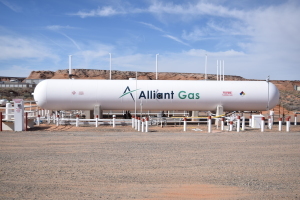 Alliant Gas Arizona currently serves more than 10,000 customers in Payson, Pine, Strawberry and many other areas around Northern Gila County, and about 1,900 customers in Page and around Coconino County. CALL BEFORE YOU DIG! IT’S THE LAW! Building a fence? Planning landscape work? Anytime you have projects that require digging deeper than a few inches you should find buried utility lines. Gas lines and electric cables can cause fatal injuries if they explode. One easy FREE call to 811 starts the process to get your underground pipelines and utility lines marked. Once your lines have been marked, you’ll know the approximate location of your pipelines and utility lines and can dig safely. Call 811 3 days before you dig! More information can be found at www.call811.com.